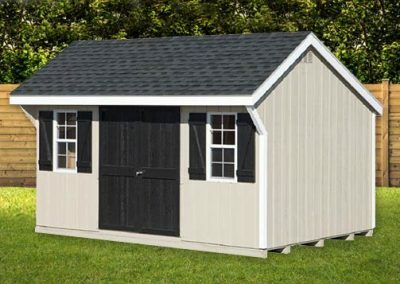 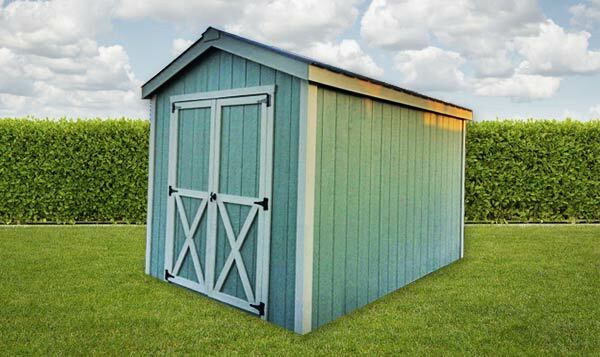 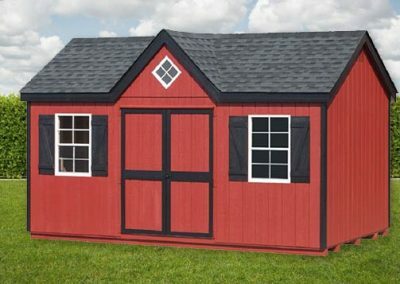 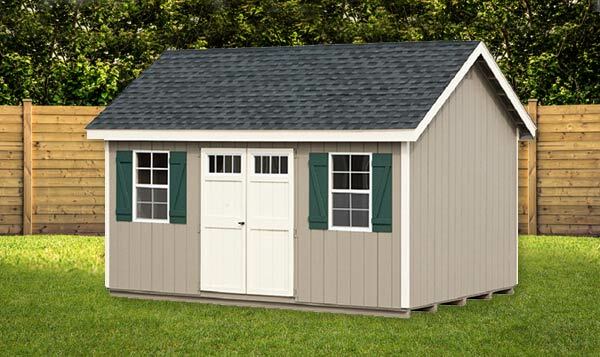 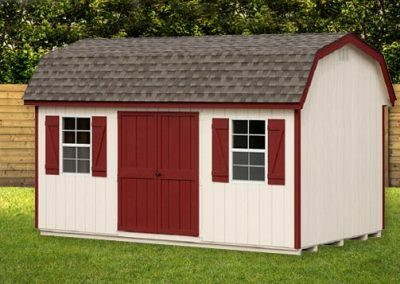 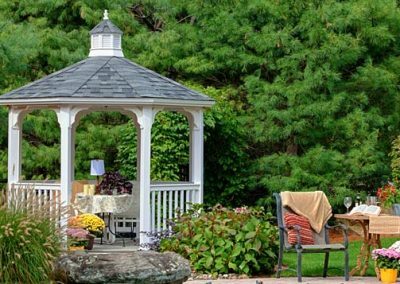 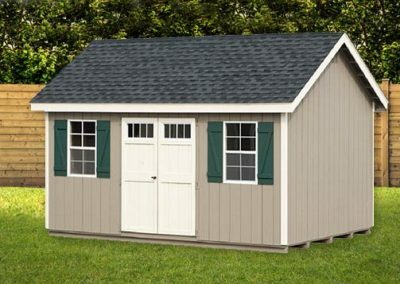 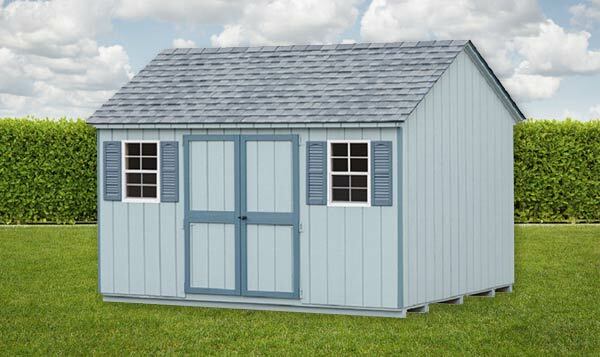 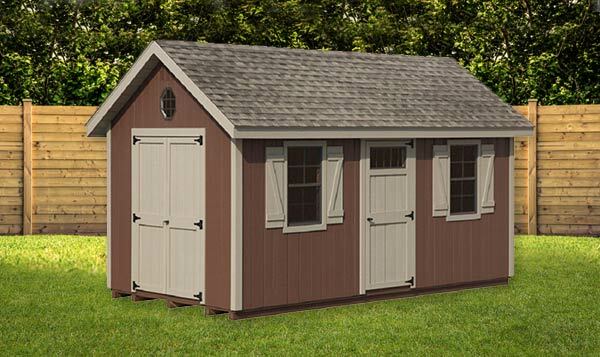 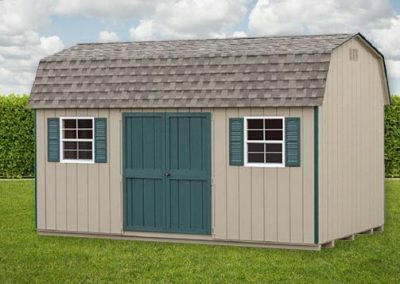 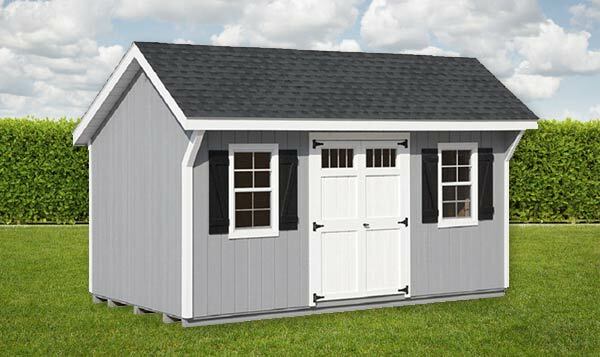 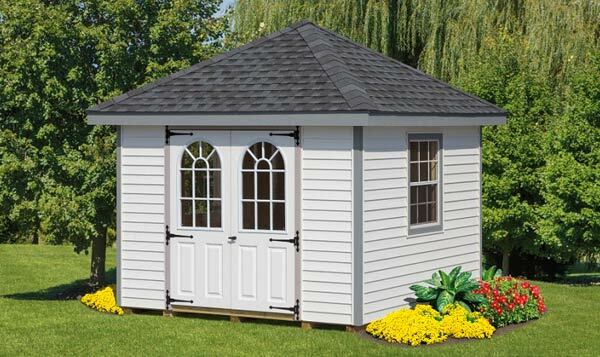 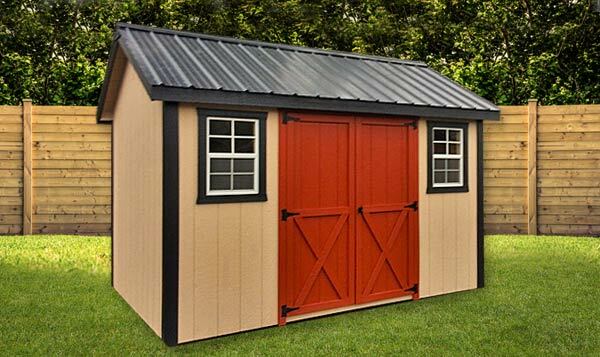 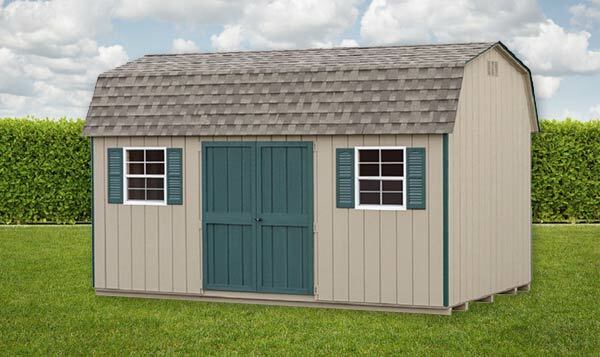 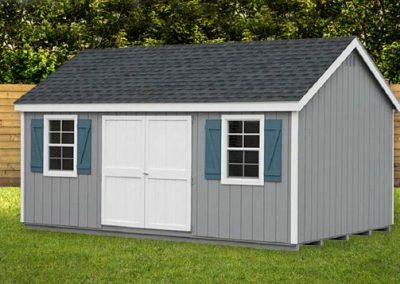 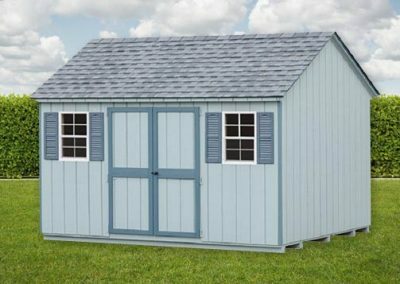 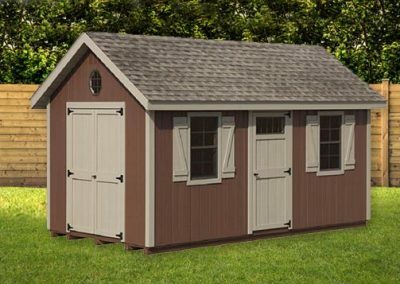 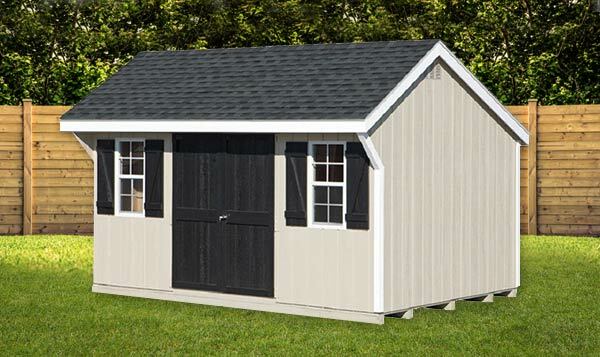 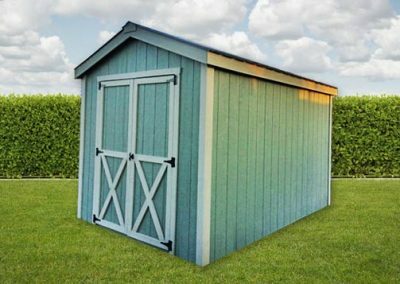 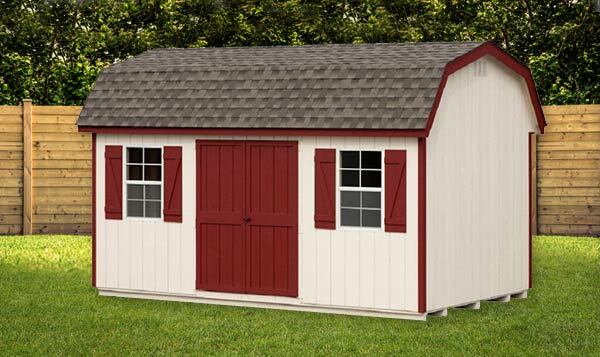 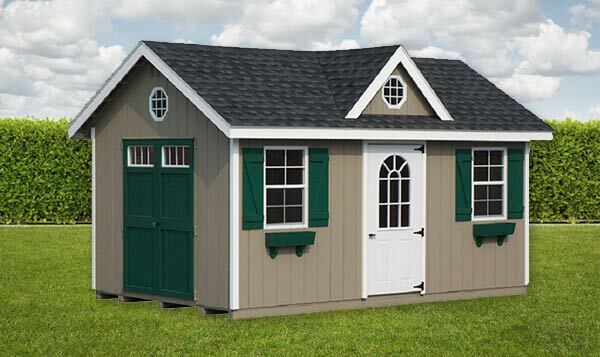 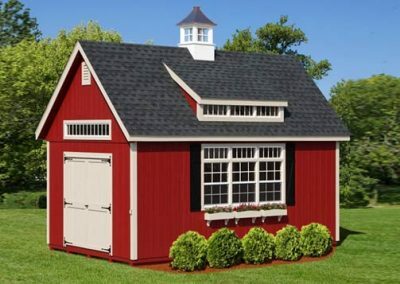 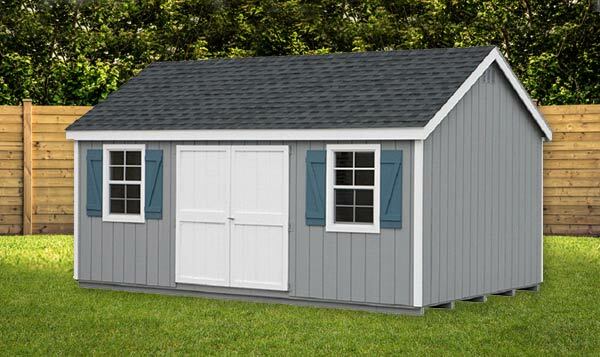 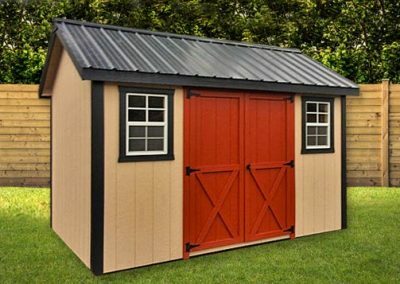 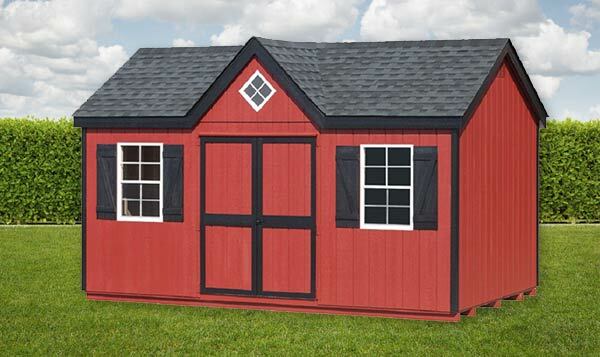 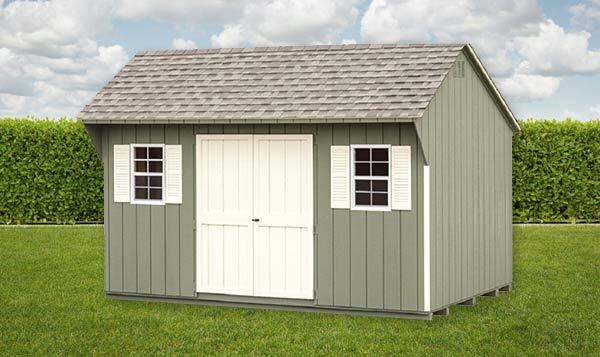 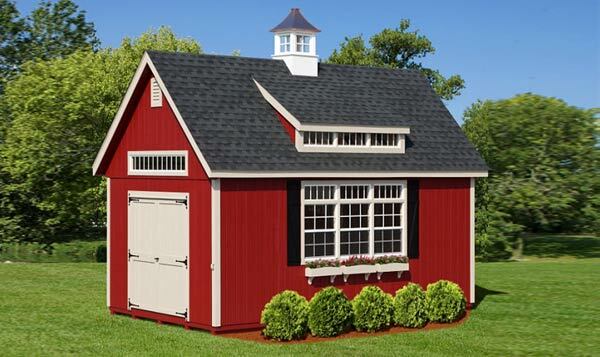 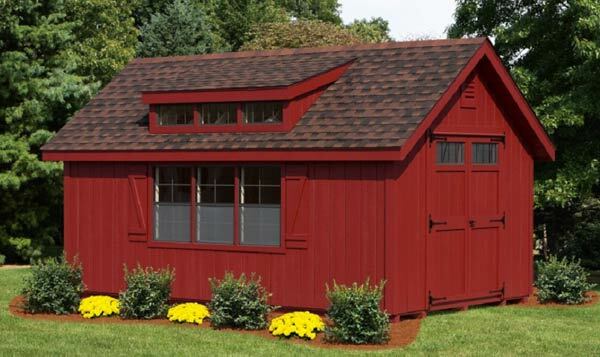 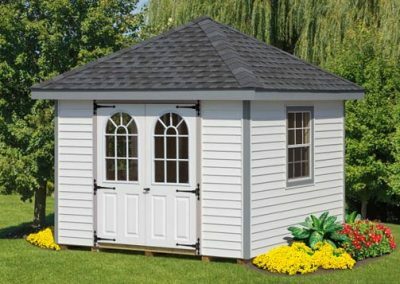 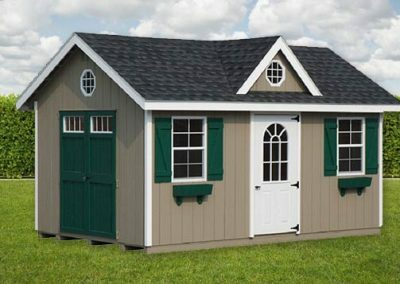 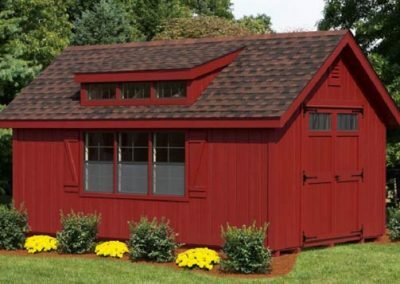 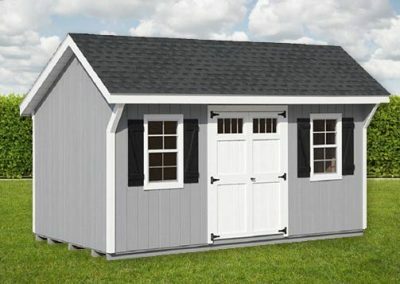 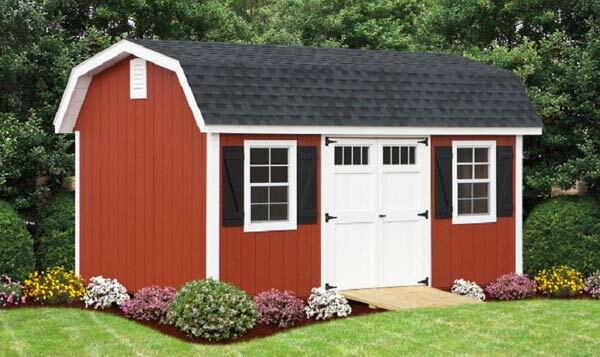 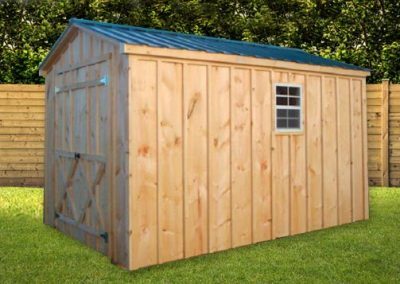 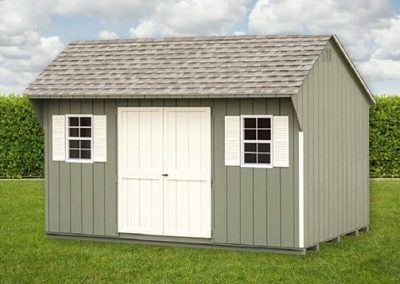 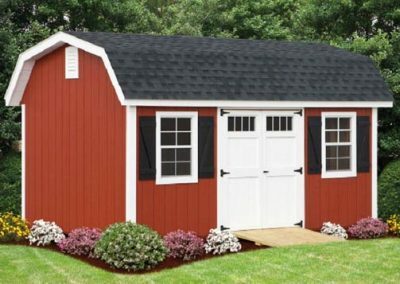 Our garden sheds are constructed in a choice of 3 types of exterior materials. 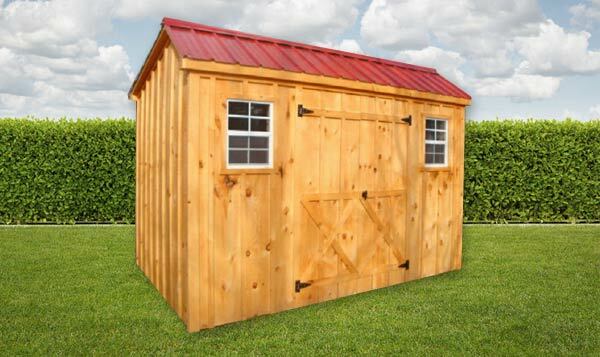 Our most economical exterior is our pine board and batten, which consists of 1” pine boards, 10” to 12” wide with vertical battens at each joint. 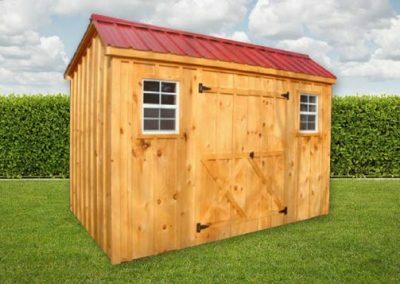 This siding is made from fresh cut logs, that when left unstained will turn to the traditional barn color and look within 1 to 2 years. 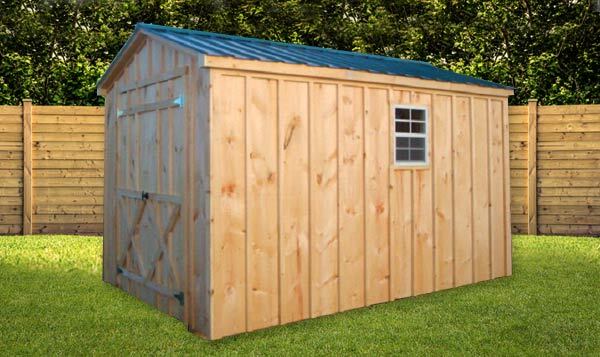 If it is stained regularly, it will maintain the natural wood grain look in the color of stain that you have selected. 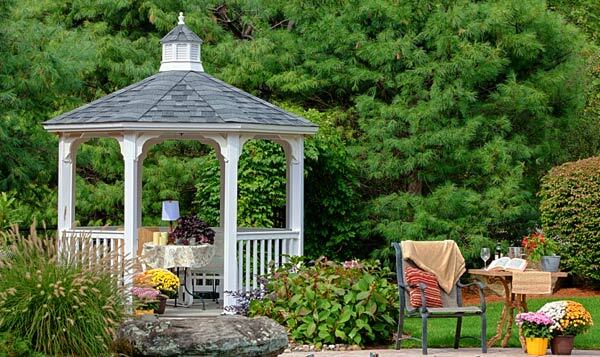 Typically stain needs to be applied within the first 6 months, then every 1 to 3 years depending on the location, relative to the sun and wind, and also how heavily the stain has been applied.